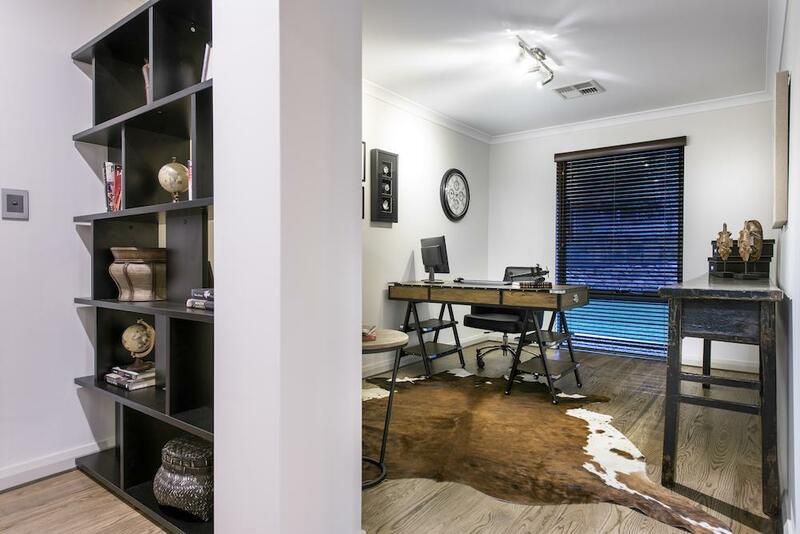 While it might seem contrary to talk about a home office and a creative space in the same breath, it is definitely a growing trend. The days of the dreary room with furniture such as a white melamine desk, wire waste paper basket, bulky black printer and cheap swivel chair are gone! Rather today’s home offices are a space to reflect your creative personality and still be efficient without chaos and clutter. Here are our 7 top tips to design an appealing, practical office space. Location, location, location. You’ll likely spend many hours in your home office, so consider the traffic flow and your ability to withstand distractions. Do you work best in the thick of activity, or should your office be tucked away in a quiet space? If clients will be stopping by, a private space with ample seating is important. Let there be light. It is important to incorporate windows in the design of your home office. This will cut down on eyestrain and headaches. Position the computer monitor so there’s no glare from a window or overhead light and put a small lamp on the desk for task lighting. Give yourself a view. Position your desk where you can look out to something interesting. A windows natural light would be ideal, alternatively a beautiful piece of artwork or position your chair to face the door. Form and function. When designing your study, consider your workflow and what items you will need at your fingertip before investing in furniture. When purchasing furniture consider items that are both practical and beautiful. Essentially, the furniture in your office should compliment the other rooms in your house. Paint the walls a colour you love. When deciding on a wall colour, we suggest choosing a colour that will get your brain working! For some people this maybe a neutral colour such as light grey or beige, for others it maybe be a bright cheery colour such as orange or blue. Organise vertically and horizontally. If your home office isn’t a large space consider hanging floating shelves on the walls to get papers and office equipment off the desk, purchase a nice basket to store your notes, papers and mail and consider purchasing a bookshelf to store books and knickknacks. Decorate with homey accessories. Unless you’re going for a contemporary look, choose accessories to enhance the comfy feeling in your office. This can include a decorative rubbish bin, a corkboard to display items such as your favourite photos or your kids or even a stylish pencil holder!